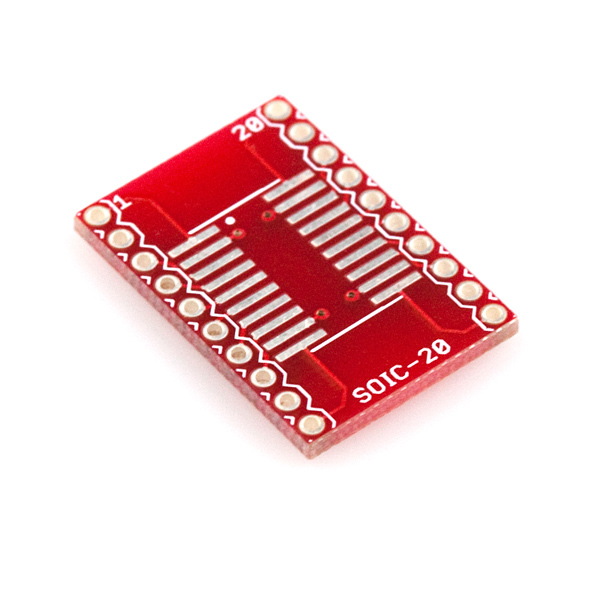 This is a low-cost, basic SOIC breakout boards. This custom PCB will interface a standard SOIC package IC to 0.1" headers, which are easier to work with and integrate well with breadboards. There is DIP-standard 0.6" spacing between the two rows of pins. Basic? Yes. Low-cost? You think? Four dollars seems excessive to me. Surely a tiny sliver of PCB with absolutely nothing on it should be under a dollar. Usually I wouldn't complain about pricing, but in this case, I do agree with you. Since this board doesn't have to go through assembly, it should be priced at about half its current price. .What's the SOIC pin pitch? I can now confirm that this board will work for the DS3234 RTC. The DS3234 is a 30 mil package. So this won't work with a 300 mil PIC SOIC package? Check your package carefully. 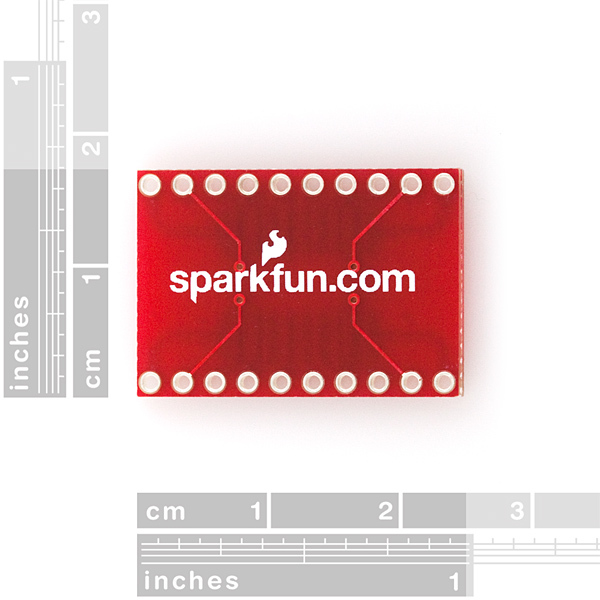 Your 20-pin SOIC package, that is. What you do with your package is your business. Make sure the body of your (SOIC) package is about 5.3mm. 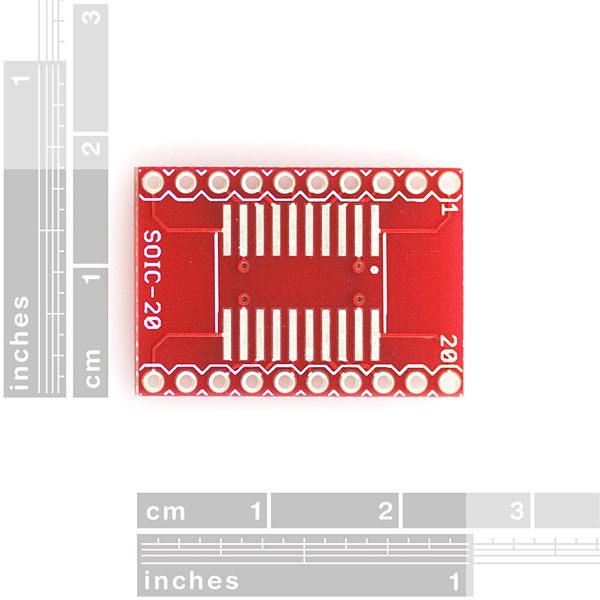 The 7.5mm or 0.3" (SOIC) body is not appropriate for this PCB. That being said, the 0.3" body can be rigged to just barely work, which may suffice for a couple of prototypes. I gently pressed the leads towards the body, which gave a reasonable heel fillet after reflow. Would be interesting to see a double sided version for TSOP and SSOP on the other side. Though for the price, these are excellent for prototyping or even a finished product.